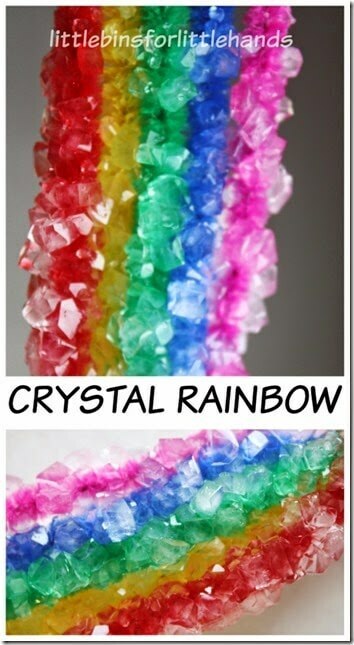 Kids are going to be wowed and amazed as they make their very own crystal rainbow kids activity. This is such a fun, clever activity for Preschool, Kindergarten, 1st grade, 2nd grade, 3rd grade, 4th grade, and 5th grade kids. This has got to be one of the coolest science activities I’ve seen to make a rainbow. I love the beautiful colors and delicate crystals that grew! Get completed directions on how to make your own crystal rainbow from Little Bins for Little Hands.